Search All Emerald Isle Real Estate! Ideally located directly on the Gulf of Mexico, Emerald Isle Resort provides a welcoming atmosphere and an unmatched level of quality. 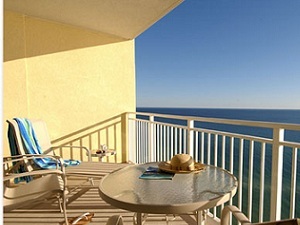 This 199 unit, all 2 bedroom/2 bath condominium resort in Panama City Beach offers gorgeous views from incredible oversized balconies in every unit. With an inviting decor including crown molding in the foyer, kitchen and living room, each of these units assures the owner all the comforts of home with the luxury of being at the beach. Emerald Isle offers two different floor plans. 2 bedroom/2 bath at 1146 Sq. Ft.
2 bedroom/2 bath – slightly larger at 1238 Sq. Ft.
Emerald Isle Resort boasts one of the best locations in town! 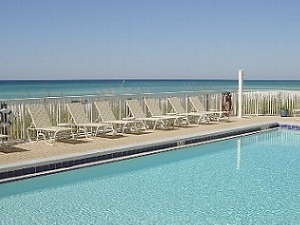 Emerald Isle condos are situated approximately 1/2 mile west of the Hwy 79 intersection with Front Beach Road. The resort is close to Gulf World, the County Pier, Pier Park and just 20 minutes from the Silver Sands Outlet Shopping Center in Sandestin!